All these Christmas posts force me to plan my next Christmas trip right now. Do you feel the same way? I always wanted to go Vienna but now Innsbruck is added to my bucket list for Christmas. Thanks to Linda who introduce the charm of Innsbruck. Our today’s guest blogger is Linda. She is traveler, freelance journalist, and Photographer. Read about her adventures on Travel Tyrol. 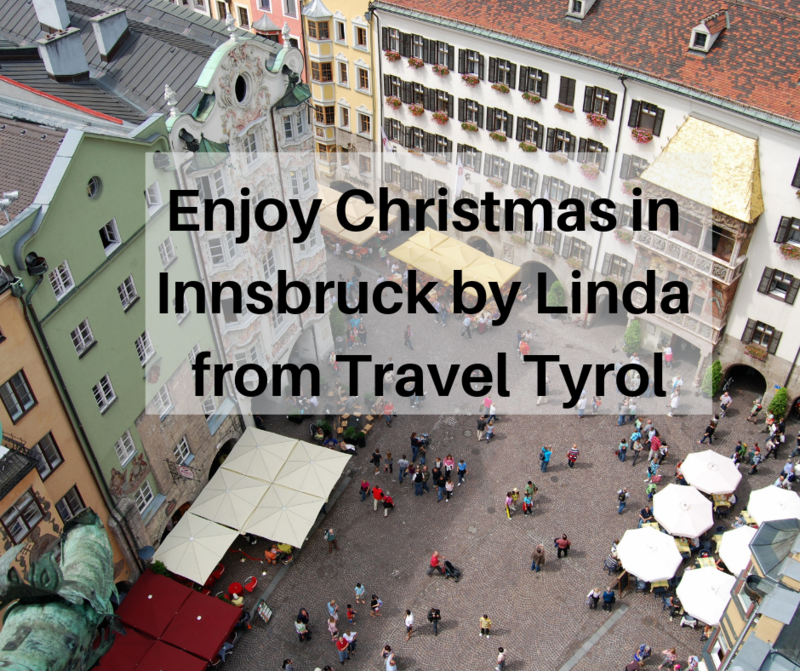 Linda is sharing her experience on how to Enjoy Christmas in Innsbruck. 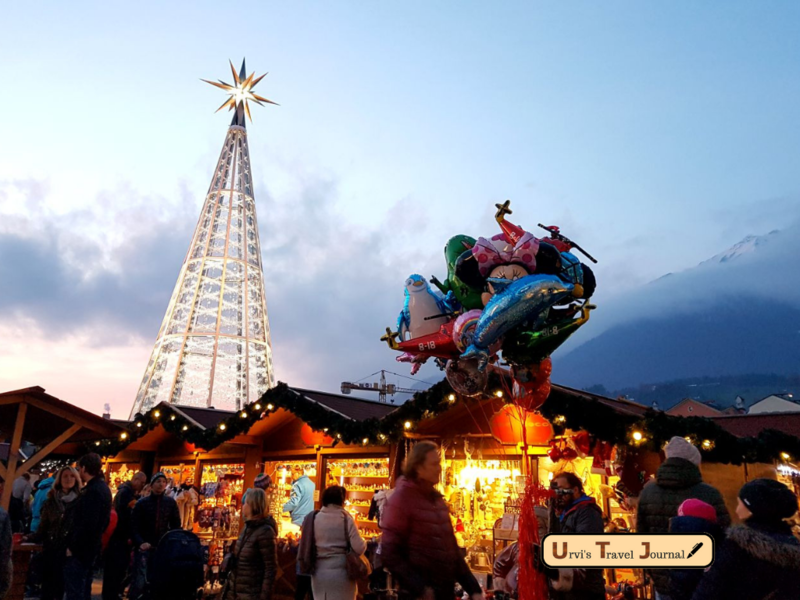 Innsbruck, the capital of Tyrol in Austria, is the place to be if you want to experience an authentic European Christmas with all the bells and whistles attached. From snow-capped mountains to romantic Christmas markets in a beautiful historic old town setting, you’ll never forget a Christmas spent in Innsbruck. The Innsbruck Christmas markets are filled with attractions for young and old. There’s a traditional Christmas market in front of the famous Golden Roof in the heart of the old town where you can listen to trumpeters while sipping on mulled wine or snack on roasted chestnuts. Or you can marvel at the skyline dominated by a giant Swarovski Christmas tree and the Nordkette mountain range from a special viewing platform on the Innsbruck market square. Even if there’s no snow in the city at Christmas, an Alpine peak is just a cable car journey away. The Nordkettenbahnenleaves the city centre and ascends up the mountain in three stages. If you get off at the Seegrube station, you can even enjoy a drink in an igloo bar. 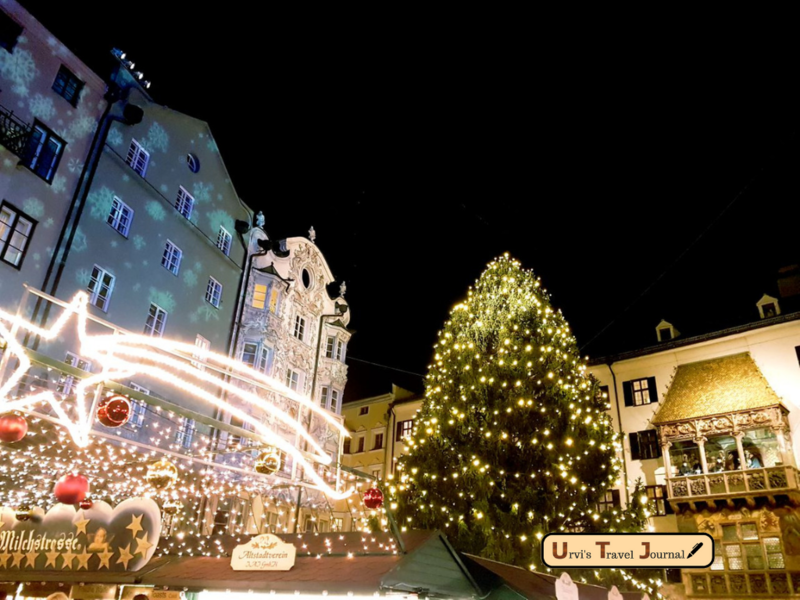 Winter sports enthusiasts will love Christmas in Innsbruck. There are no less than 9 ski resorts which can be reached within an hour from the city. Getting there by free ski bus is easy too. Even if you don’t ski, you can use the buses to go sledding. Those who would rather stay off the mountains can simply enjoy some winter sightseeing. There’s the Bergisel ski jump, Ambras Castle and Imperial Palace to explore. Another highlight is the Swarovski Crystal Worlds only 15 minutes away from Innsbruck in the town of Wattens. Getting to Innsbruck for Christmas is easy too. Regular flights from London, Vienna, Frankfurt, Amsterdam, and Berlin land at the Innsbruck Airport. The city is also a railway hub with trains from Switzerland, Italy, and Germany passing through.